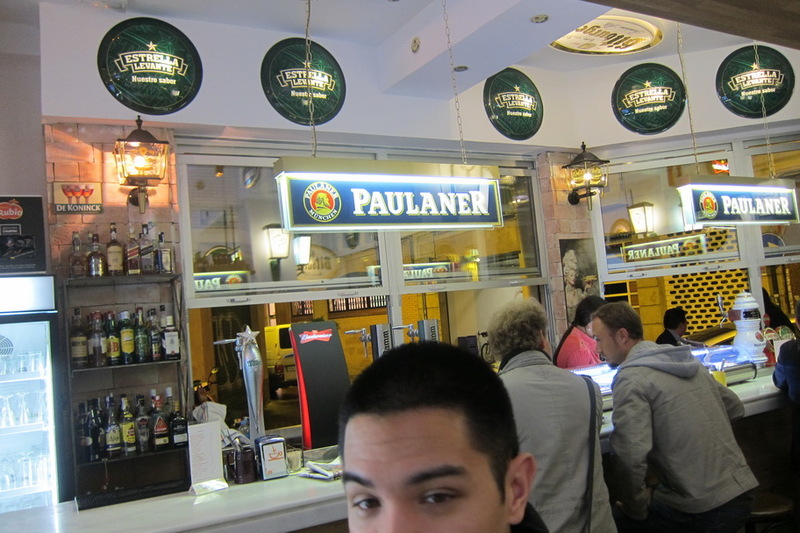 The next memorable place was in Murcia at La Casa de la Cerverza (the House of Beer). 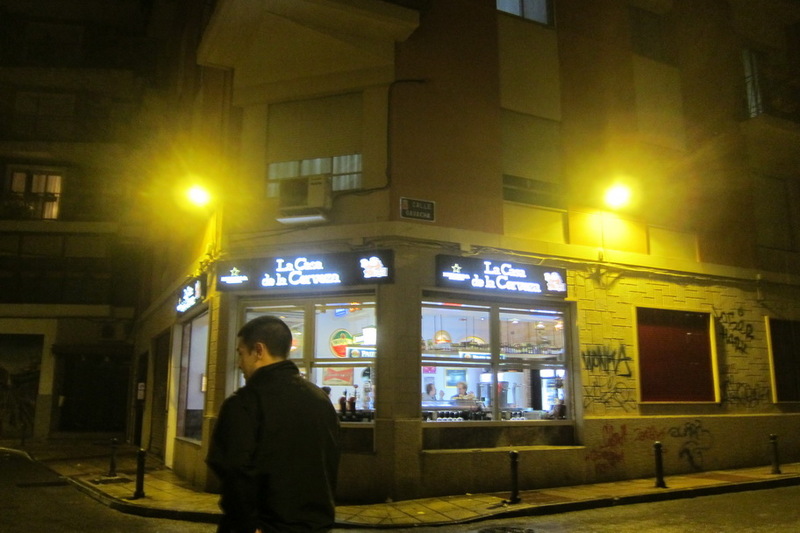 It wasn’t a fancy place but the food was plentiful and cheap. 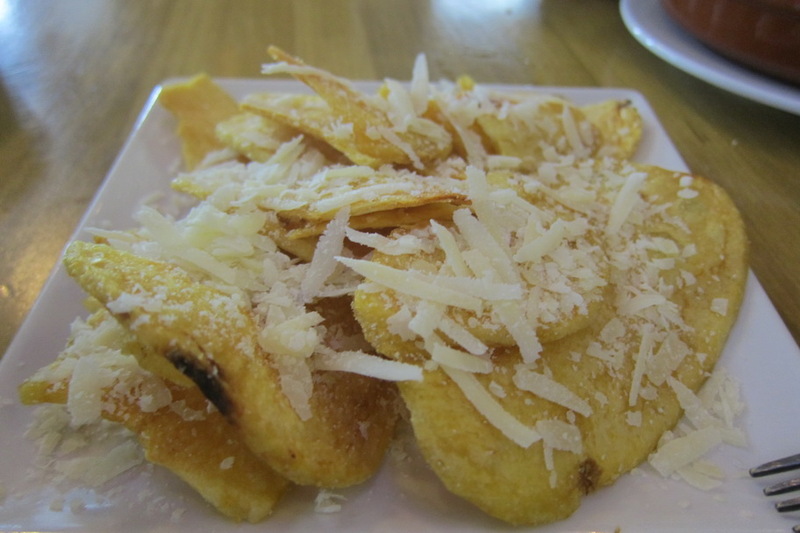 We had delicious gourmet potato chips, a shrimp dish, yummy ham, and a sardine salad. 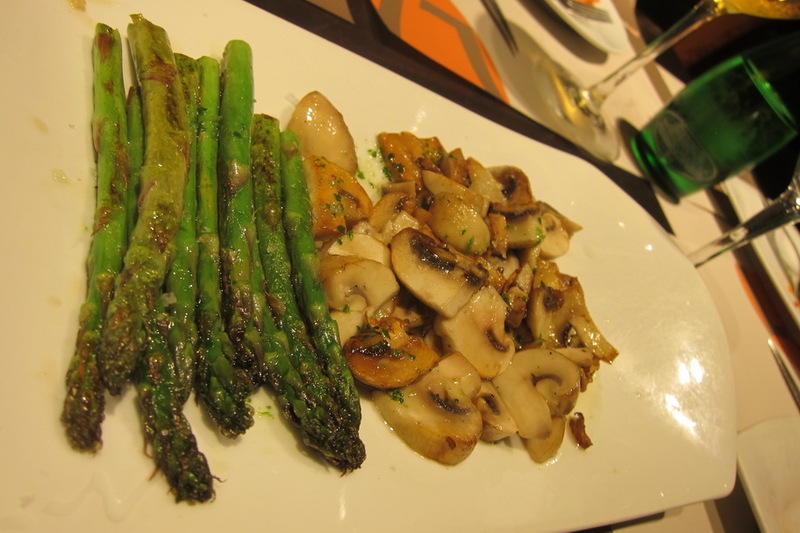 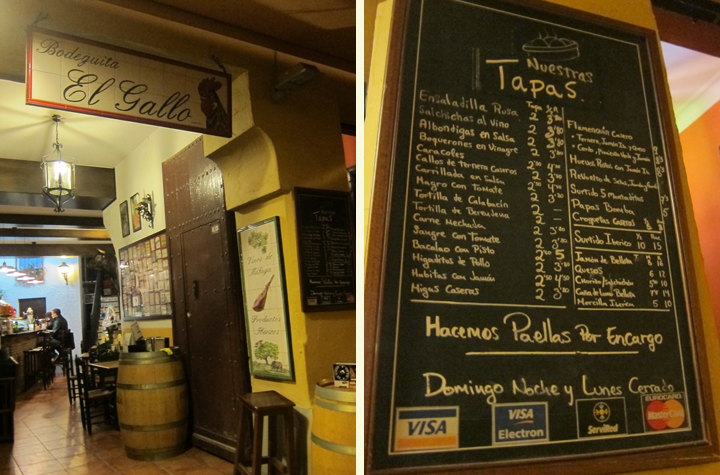 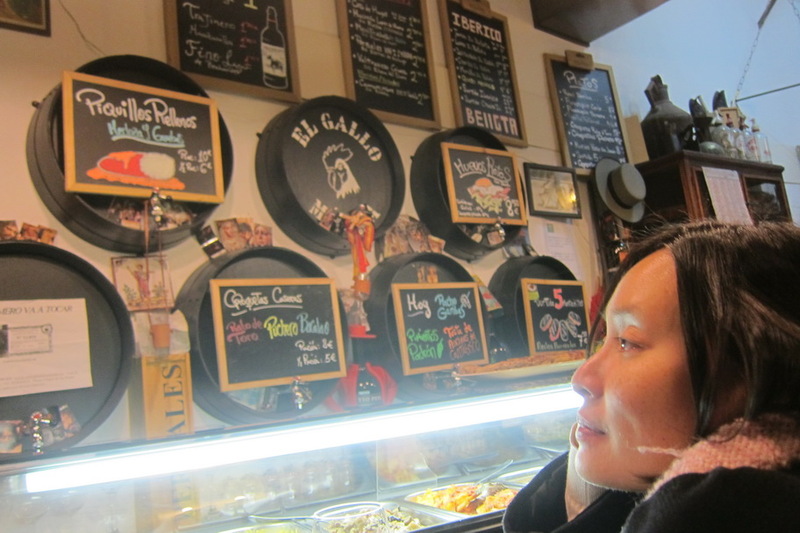 We also had good tapas at El Gallo in Málaga. 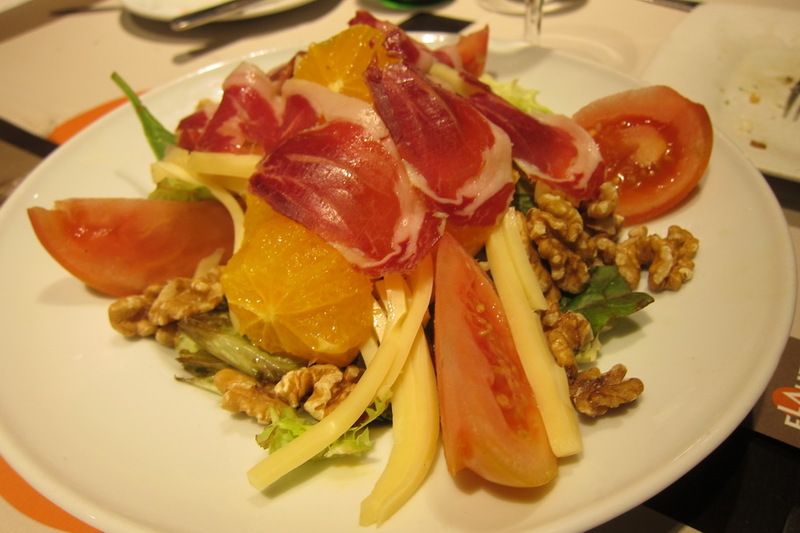 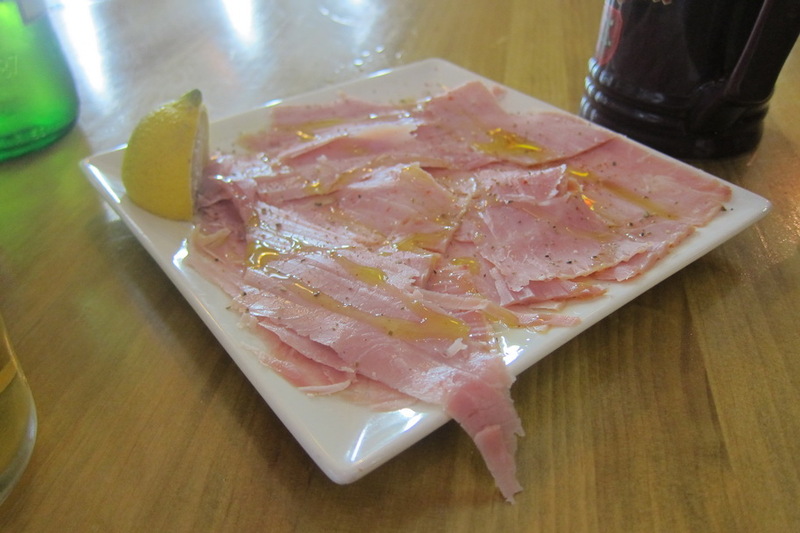 We had the most amazing serrano ham, as well as fried calamari. 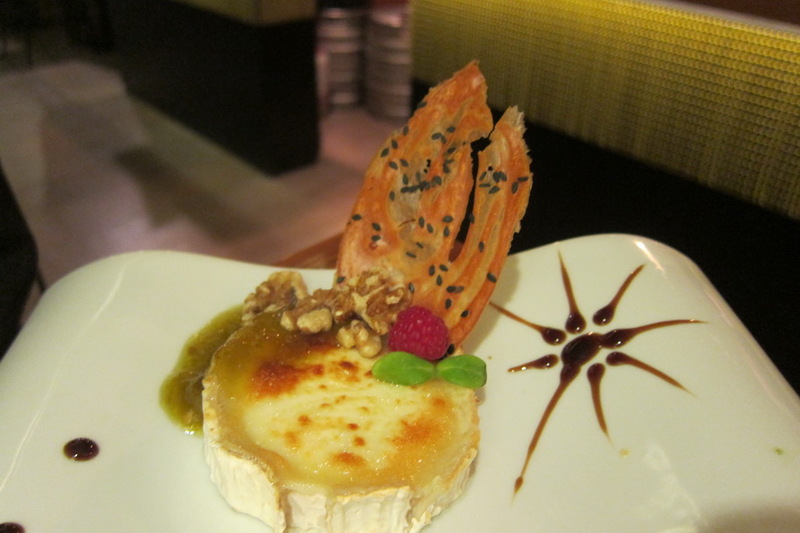 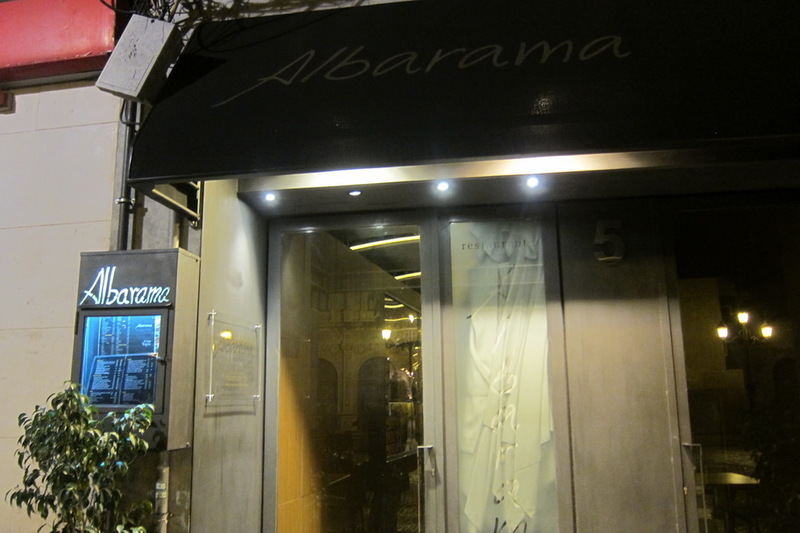 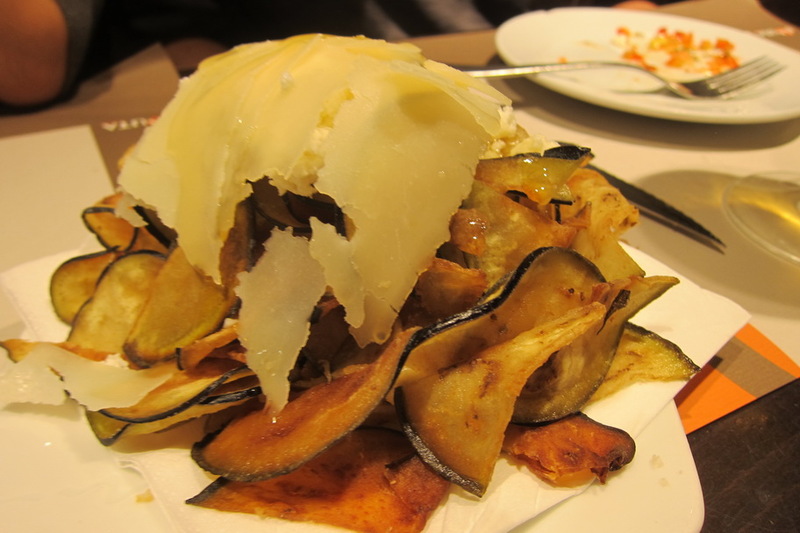 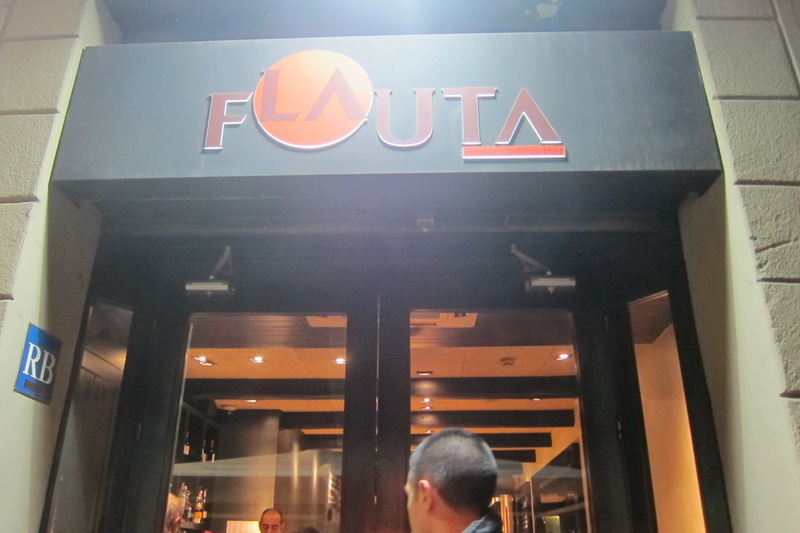 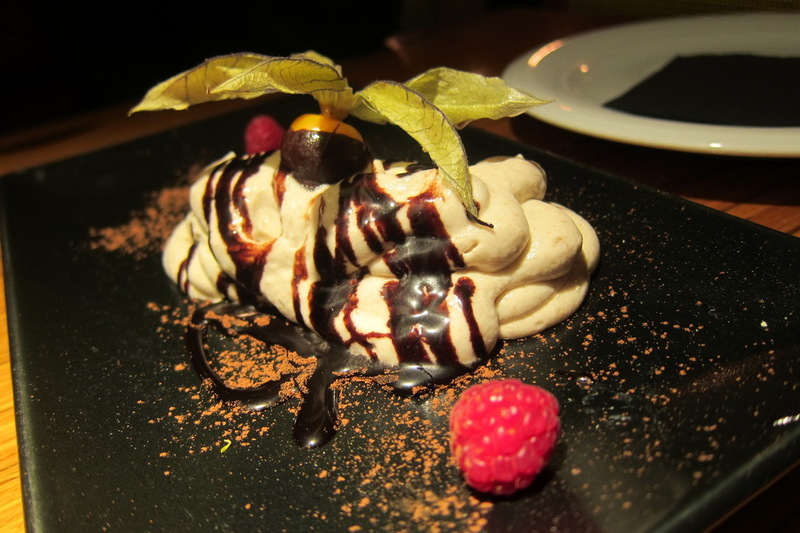 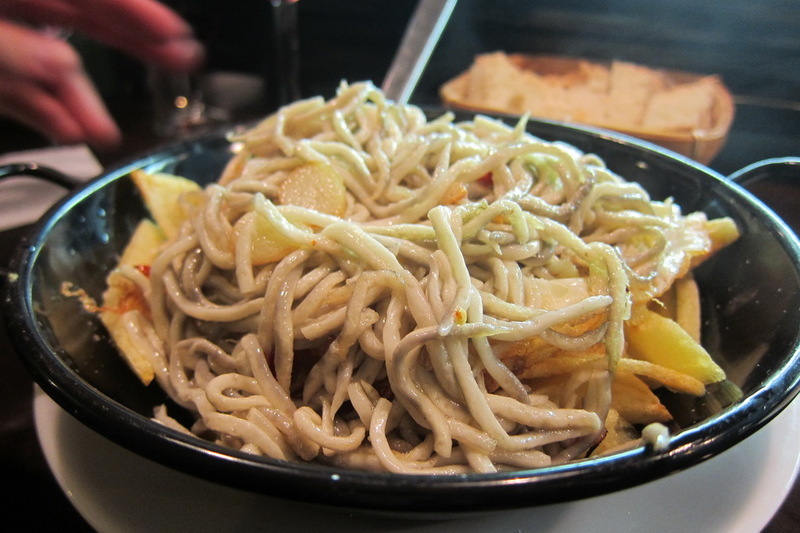 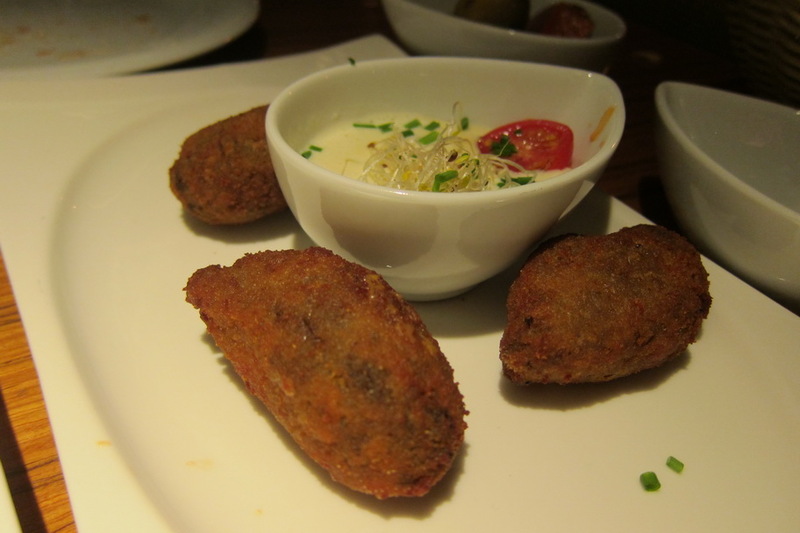 But, the best tapas we had was in Seville at Albarama, which was rated #1 on Trip Advisor when we went to Seville. 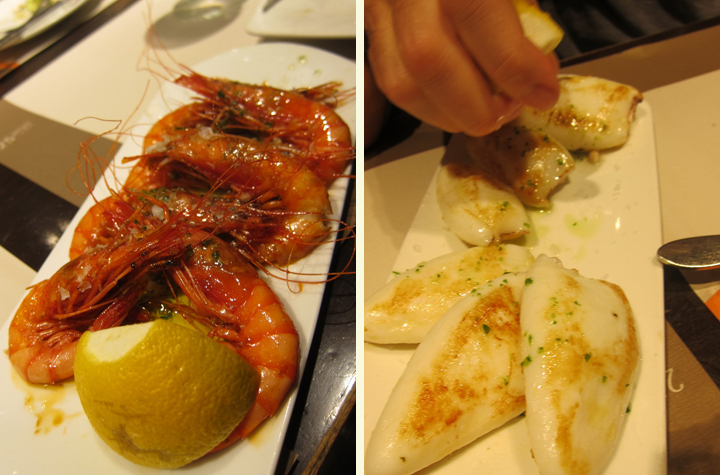 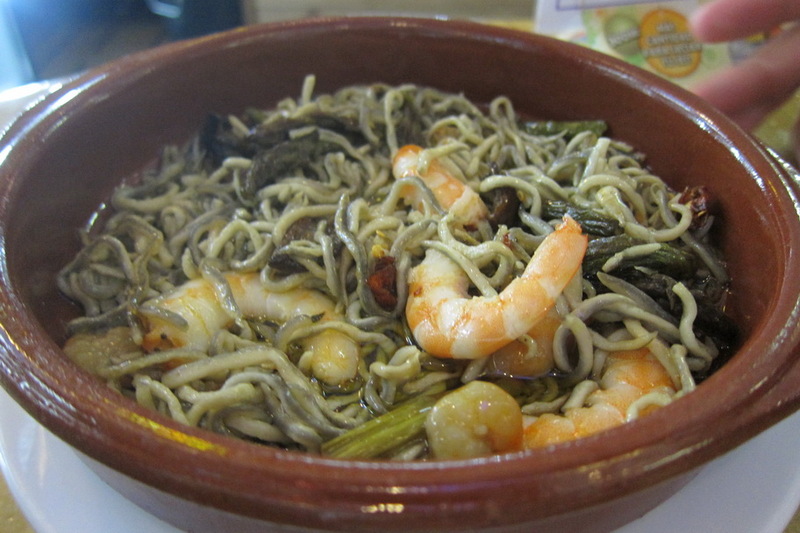 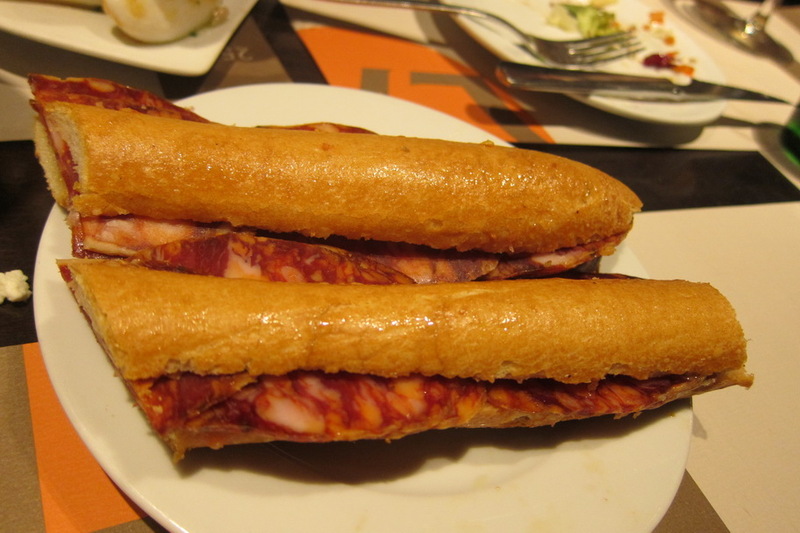 It was indeed the most well-balanced and delicious tapas we had in Spain. 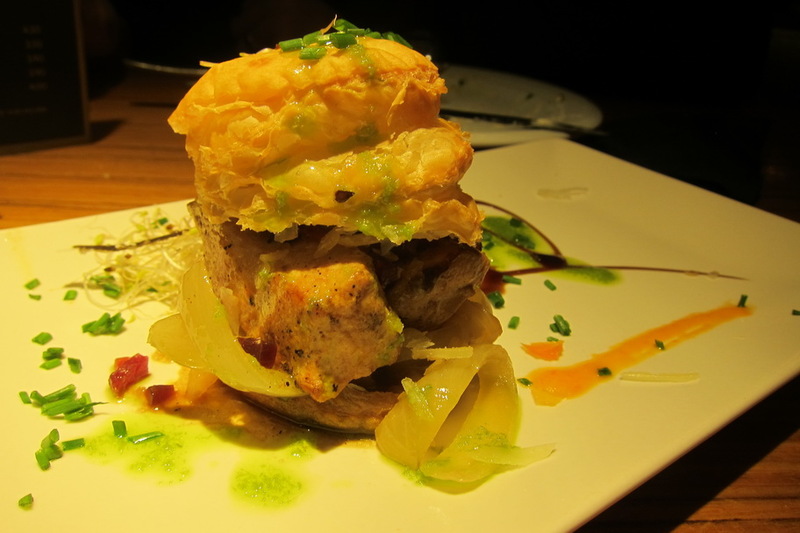 We had grilled duck liver with baked apple, ham croquettes, grilled goat cheese with a green tomato jam, chicken breast in a puff pastry, as well as dessert. 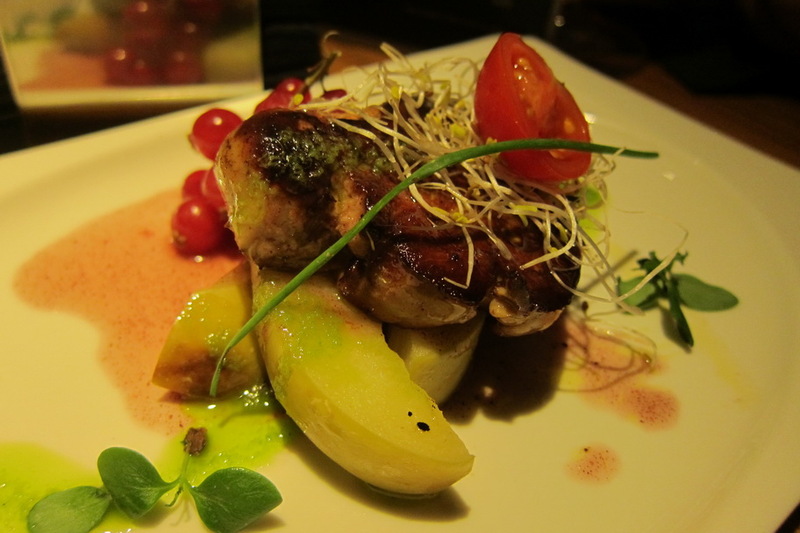 All of it was phenomenal. 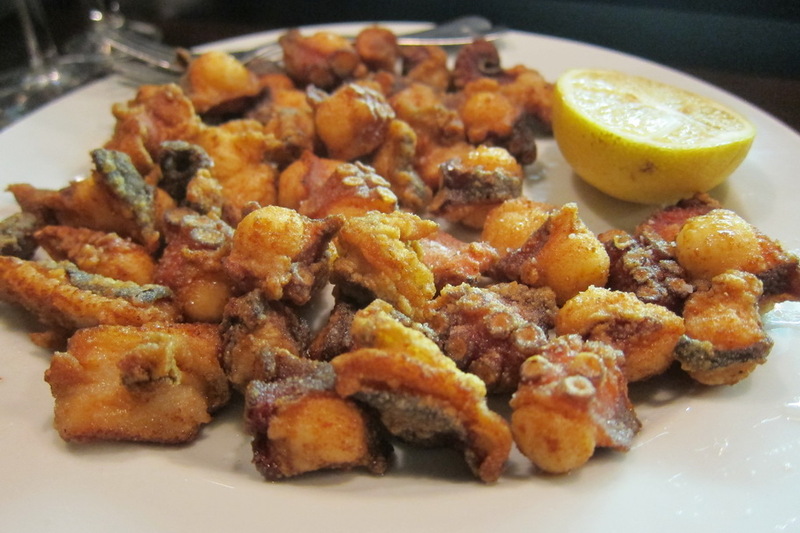 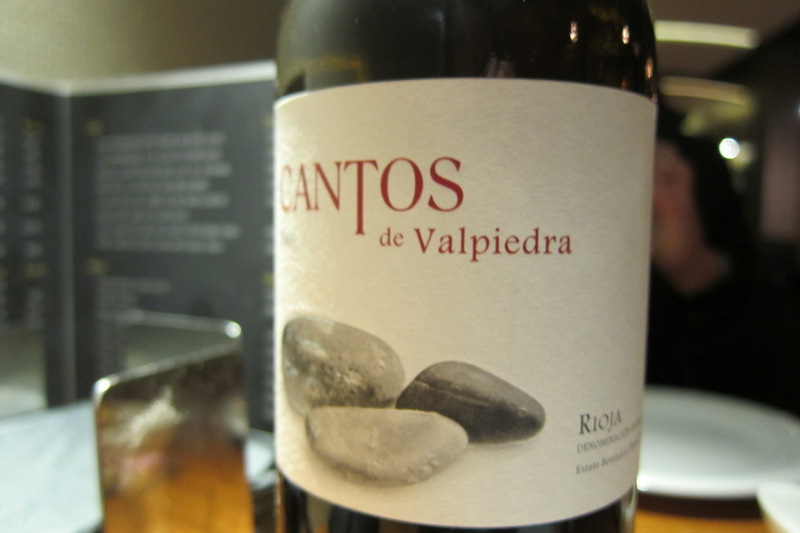 Mmmmmm…tapas. 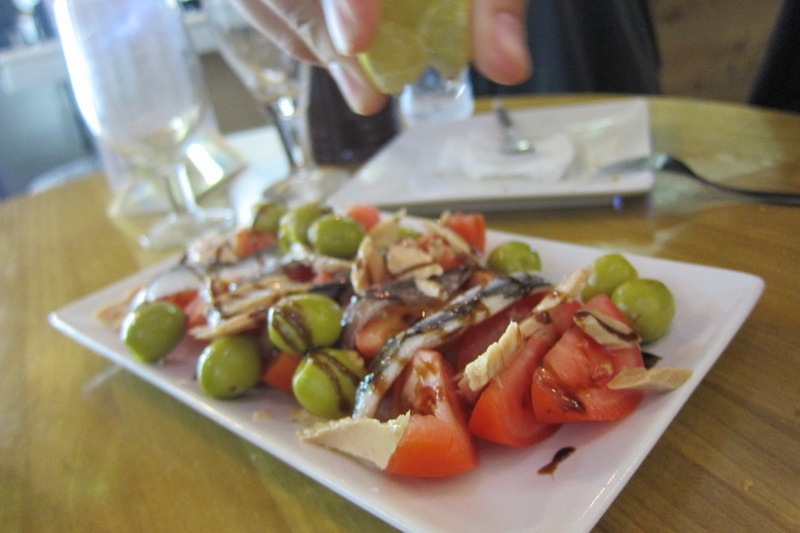 Just looking at these photos make me miss Spain.